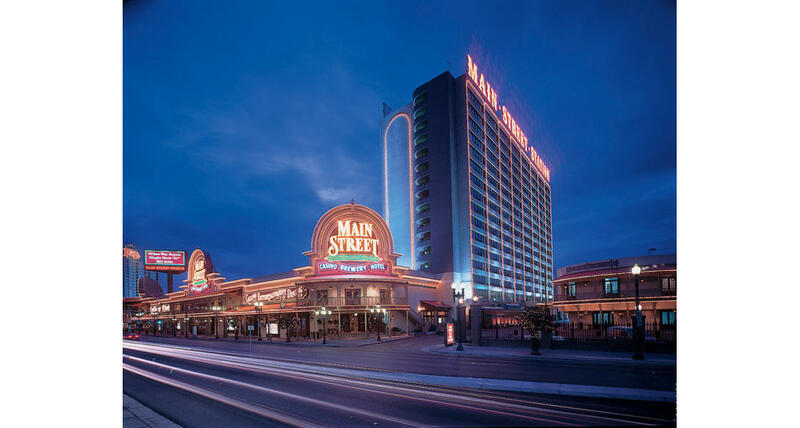 One of downtown Las Vegas' classiest establishments, the Main Street Station hotel and casino is a fun-filled trip back to the turn of the century, from its beautiful brick entryway outside to its large collection of antiques and richly detailed artifacts inside. The casino resembles a Victorian train station, sparkling with chandeliers (some are from the Figaro Opera House in Paris) and vaulted wood and stained-glass ceilings high overhead. Of course, there are plenty of turn-of-THIS-century lights, too, with more than 800 slot machines (especially during the daily slot tournaments) in the 28,000-square-foot gaming area. Plasma screen televisions allow table and poker-room players to keep an eye on the day's sporting events. Main Street is also one of downtown's tastiest establishments. The Garden Court Buffet takes the all-you-can-eat Vegas tradition to the next level in terms of quality. The Triple-Seven microbrewery has won national awards for its beer, and its restaurant and bar has long been a hot spot for locals and visitors. 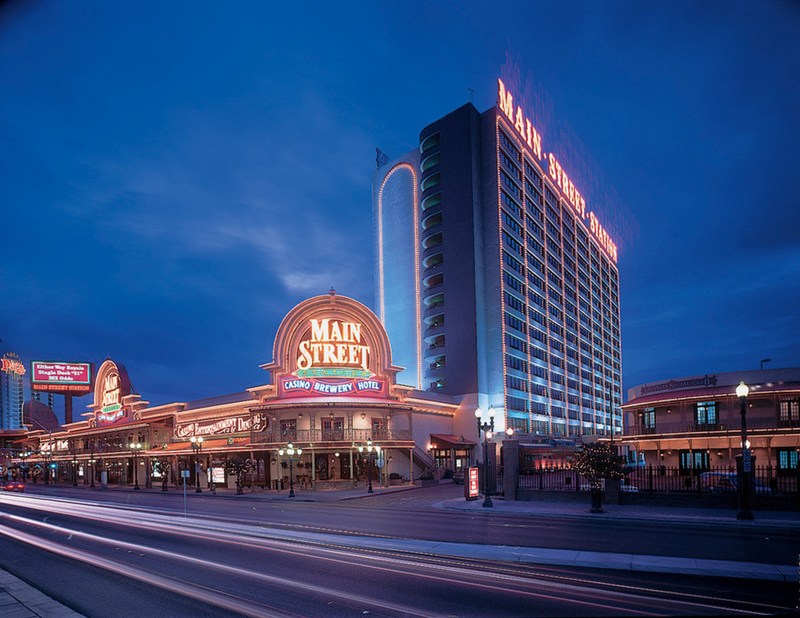 More dining and gaming is a short, safe walk away via the skywalk that runs over Main Street to the California Hotel & Casino. The excitement and action of Las Vegas' famous Fremont Street is only a block away. Did you know? A section of the Berlin Wall is located inside Main Street Station! Unfortunately, only men can see this piece of history, as it lines the walls of the men's room, just off the casino floor!